Attorneys general for 37 states recently sent a letter to the health insurance industry’s main trade group, urging its members to reconsider coverage policies that may be fueling the opioid crisis. The Sept. 18 letter is part of an ongoing investigation by the state officials into the causes of the opioid epidemic and the parties that are most responsible. The group is also focusing on the marketing and sales practices of drug makers and the role of drug distributors. On Sept. 17, ProPublica and The New York Times reported that many insurance companies limit access to pain medications that carry a lower risk of addiction or dependence, even as they provide comparatively easy access to generic opioid medications. The safer drugs are more expensive. The signatories include the attorneys general of California, Florida, New York, Pennsylvania and Michigan. 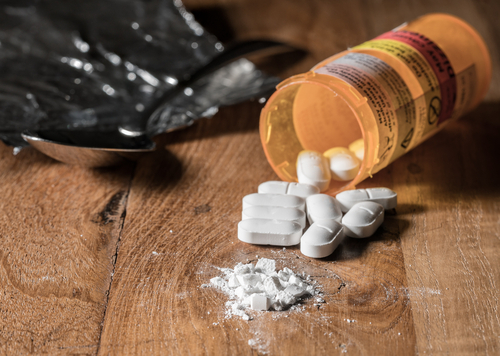 While opioids, such as hydrocodone and morphine, are often prescribed to relieve pain, they also have been linked to abuse and dependence. Drug overdoses are now the leading cause of death among Americans under 50, and more than 2 million Americans are estimated to misuse opioids. While the crisis has placed the practices of drug makers, pharmaceutical distributors, pharmacies and doctors under scrutiny, the role of insurers in enabling access to cheap, addictive opioids has received less attention. The Department of Health and Human Services is now studying whether insurance companies make opioids more accessible than other pain treatments. An early analysis suggests that insurers are placing fewer restrictions on opioids than on less addictive, non-opioid medications and non-drug treatments like physical therapy, said Christopher M. Jones, a senior policy official at the department. Last week, the New York state attorney general’s office sent letters to the three largest pharmacy benefit managers — CVS Caremark, Express Scripts and OptumRx — asking how they were addressing the crisis. Insurers say they have been addressing the issue on many fronts, including monitoring patients’ opioid prescriptions, as well as doctors’ prescribing patterns. A number of companies say they have seen marked declines in monthly opioid prescriptions in the past year or so. Moreover, at least two large pharmacy benefit managers, which run insurers’ drug plans, announced this year that they would limit coverage of new prescriptions for pain pills to a seven- or 10-day supply. “Patients and their care providers should talk openly and honestly about pain and how to manage it — from lifestyle changes and exercise to over-the-counter options and clearly understanding the dangers of opioids,” Donaldson said. Nonetheless, ProPublica and The New York Times found that companies are sometimes refusing to cover less risky drugs prescribed by doctors while putting no such restrictions on opioids. We analyzed Medicare prescription drug plans covering 35.7 million people in the second quarter of this year. Only one-third of the people covered, for example, had any access to Butrans, a painkilling skin patch that contains a less-risky opioid, buprenorphine. And every drug plan that covered lidocaine patches, which are not addictive but cost more than other generic pain drugs, required that patients get prior approval from the insurer for them.